Year upon year a staggering number of men die by suicide across the UK. Infact of the 6,122 suicides of people aged 10 and over registered in the UK in 2014, 76% of these suicides were by men. That's equivalent to a UK mans life being lost every two hours. Suicide affects all parts of society, but suicide rates amongst men remains markedly high in comparison to women. More traditional approaches have focussed on reducing access to means and targeting people with mental health needs to better assure suicidal behaviour and suicide completion is minimised. However, although not always with an aim of preventing suicide, there are many innovative upstream solutions that through placing emphasis on well-being, social inclusion and resilience building, support men to reconnect with life and living. 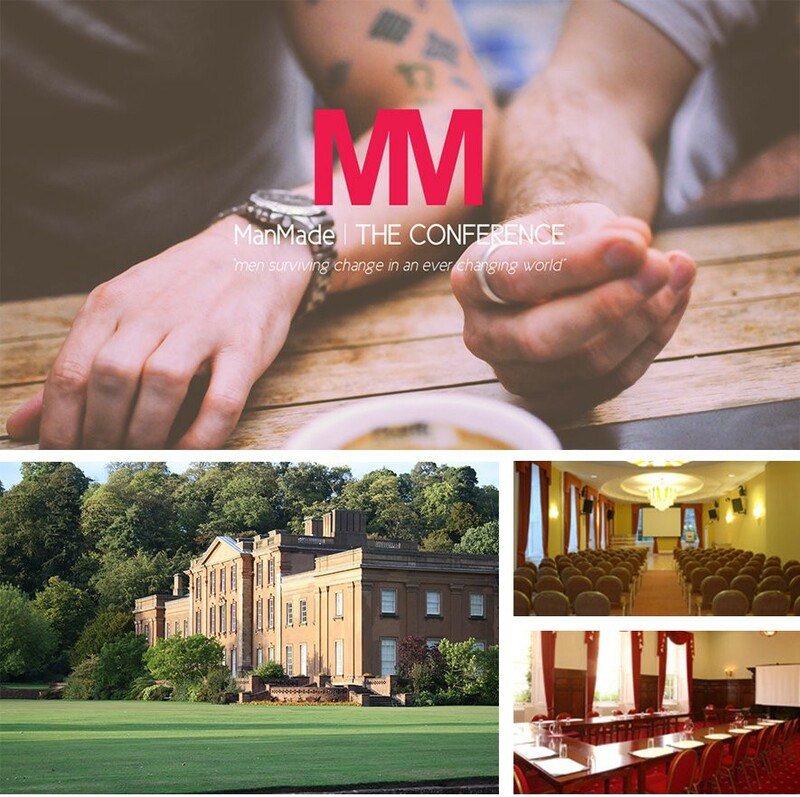 This conference brings together private, public, voluntary and community sector organisations, individuals with lived experience of suicidal behaviour as well as forward thinking innovative organisations from across the country who work with men who need support. To date discussions in Public Arenas have given us a wealth of knowledge in respect to clinical and wider service provision challenges, statistics, economic and human costs, theories as to the reasons specific groups of men may be more at risk than others. But whilst the debates rage on in the background and decisions are being made, individual stories from the front line have often go unheard. ManMade | The Conference provides the opportunities for stories of loss, survival and hope. As part of Mens' Health Week 2016, ManMade | The Conference throws on the table an invitation to all (and we mean everybody from all walks of life) to better understand the reasons why many men may think they would be better off dead, the impact of suicide by men, what solutions are already being developed and implemented as best practice examples as well as provide a forum where new possibilities can be considered and new partnerships developed. We know that suicide doesn't discriminate. It affects all walks of life at all levels in our society. That's why ManMade: The Conference is for everybody. Everybody has an equal place…after all, suicide is everybody's business. If you want to become a small part of the solution in reducing both the number of men taking their own lives and the impact of male suicide, this conference is for you. Suicide affects all parts of society, but suicide rates amongst men remains markedly high in comparison to women. More traditional approaches have focussed on reducing access to means and targeting people with mental health needs to better assure suicidal behaviour and suicide completion is minimised. However, although not always with an aim of preventing suicide, there are many innovative upstream solutions that through placing emphasis on well-being, social inclusion and resilience support people to find reasons for living. This ground breaking conference will bring together private, public, voluntary and community sector organisations, individuals with lived experience of suicidal behaviour as well as forward thinking innovative organisations from across the country who work with men who need support. A knowledge of how some best practice approaches are making a difference. A forum to discuss the way forward for suicide prevention that can work alongside more traditional approaches. An opportunity to identify key gaps and opportunities for replication. Identifying possibilities for new ways of working within existent services. An invitation to influence ManMade as an approach for wider engagement to highlight innovative practices and drive forward positive change.